Terri Peterson, nationally recognized Breath Teacher, Facilitator and Coach, will share her expertise on the power of breath through Soul Breathing™. Soul Breathing™ is a powerful process that consistently generates profound physical, emotional and mental self-healing and deepens your connection with Spirit. Breath is the infinite intelligence of Spirit moving in the body. It is the link between body and soul. Soul Breathing activates a coherent vibration in your body that you can feel at a cellular level. This primordial vibration effectively transmutes and releases old emotions and self-limiting thought patterns. You instantly feel your deep connection to Spirit. Come hear what it’s all about and experience a short breath session with breath expert, Terri Peterson. As a Prerequisite for the is session must attend the April 7 Be Group presentation. You will receive many of the same benefits of a private session, but without as much individual facilitation and body mapping. The group will be guided to breathe along with affirmations and sound. A small group breath session can be a more affordable way to reclaim your breath, plus the group energy is always amazing. LEARN how to open up constricted, shallow breathing. DISCOVER the healing power of the breath. RELEASE constricting thoughts and self-limiting beliefs. BREATHE universal life force, love and joy in and through your body. CONNECT to Spirit and higher levels of awareness. RECEIVE a 5 minute take-home breathing practice. You get complete person attention with your breath in a one on one facilitated breath session. During your session you will be guided to open your breath more fully and keep it going for approximately 60 minutes. Body mapping, affirmations and sound along with a variety of techniques will be used to bring your unique breath pattern into it’s natural rhythm. Your body will begin to remember what it’s like to really take a breath. 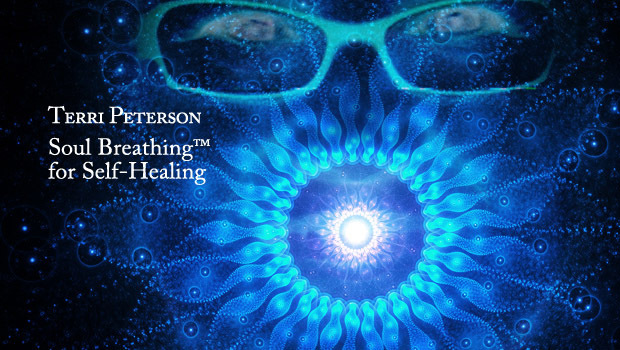 Terri Peterson, SBF, TBF, RPh, has been a healthcare professional for over 35 years and has worked in the holistic realm for the last fifteen with a passion for breathwork and energy medicine. Terri has studied and trained with many masterful teachers and holds certifications in Transformational Breath® (Dr. Judith Kravitz); Soul Breathing™ (Robert Winn); she is an associate certified Pranic Healer® (Master Stephen Co and Grand Master Choa Kok Sui) and a Reiki Master Practitioner. 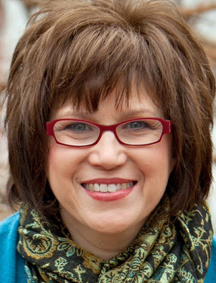 In 2009, Terri officially started her private holistic practice, The Connecting Spirit Corp. (CSC) (www.theconnectingspirit.com) to assist others in transformation and to discover well-being through the power of breath. Terri is based in St. Paul Minnesota, but travels extensively offering workshops and seminars throughout the United States and abroad. Terri has found breathwork to be one of the most useful tools and powerful catalysts for transformation on the planet. Soul Breathing is at the cutting edge of breathwork. It works on the level of vibration to clear traumas out of the physical body and brings about a deeper connection to oneself. Through conscious, connected breathing, Terri empowers people to take their next step in life and to trust in their unique abilities and divine gifts. Terri is a life-long learner and brings a wide range of knowledge and wisdom into her teachings. She has studied Light Body, New Paradigm Multi Dimensional Healing, Arhatic Yoga, Mastering Alchemy and Human Design. She is currently studying ancient breath and kundalini practices as part of a 4 year program. Terri is also a Registered Pharmacist. She enjoys helping people take charge of their health and to find a more holistic approach to health and well-being. Terri is a mother of 4 and has 3 grand-children. In her spare time she enjoys gardening, traveling to sacred sites and exploring the mystical.